With the root on!!!! Brought to me by a local customer named Boyd. Thank You sir!!! 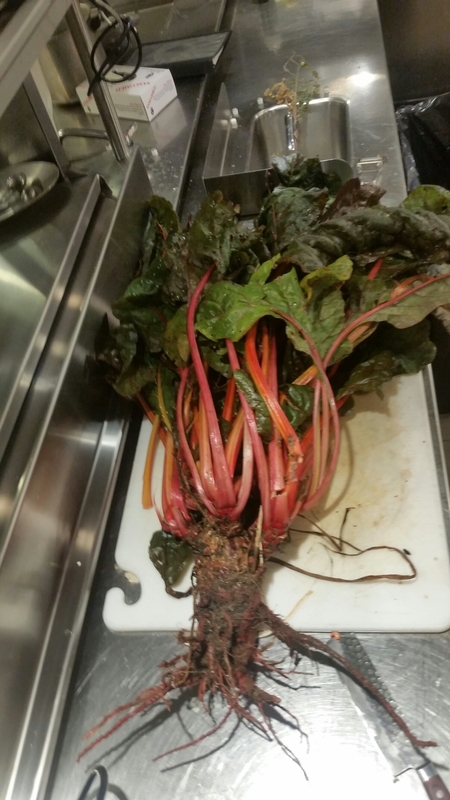 This entry was posted on November 6, 2014 at 12:52 pm and is filed under A Chefs Garden, Chef, My Work, vegan, vegetables with tags chard roots, deep roots, Swiss chard. You can follow any responses to this entry through the RSS 2.0 feed. You can leave a response, or trackback from your own site.